/5. 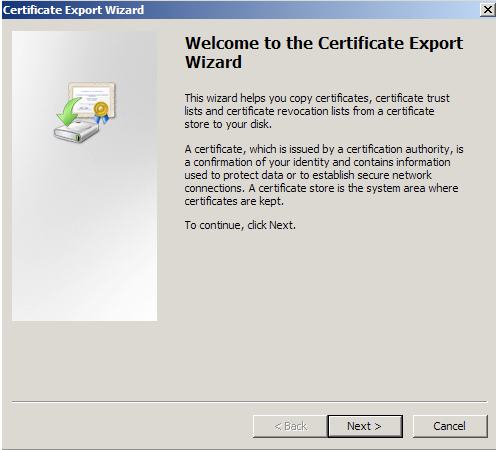 Backup/Export (How to move) an SSL certificate /How to move certificate from Windows to Citrix Netscaler. 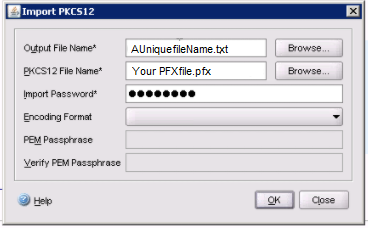 Windows servers Such as IIS and Exchange, Azure etc.. use .pfx/.p12 files to contain the public key file (SSL/TLS server Certificate) and its unique private key file. 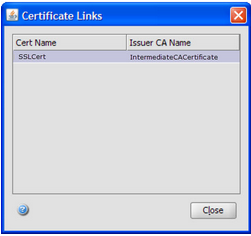 The Certificate Authority (CA) provides you with your server certificate. But your private key file rests hidden on the Windows system associated where the CSR was created only to appear when the server certificate has been reinstalled back on that system. Citrix Netscaler is an Apache type system that uses pem/x509 certificate formates for encryption and is not compatible with pfx/pkcs12 keypairs. A conversion must be done in order to bring the certificate and private key into a format that Citrix Netscaler will understand. Note: It might be faster and easier to just generate a new CSR private key pair from the Citrix system > Perform a reissue of the certificate using the new CSR > Then install the new reissued certificate back into the Citrix system. 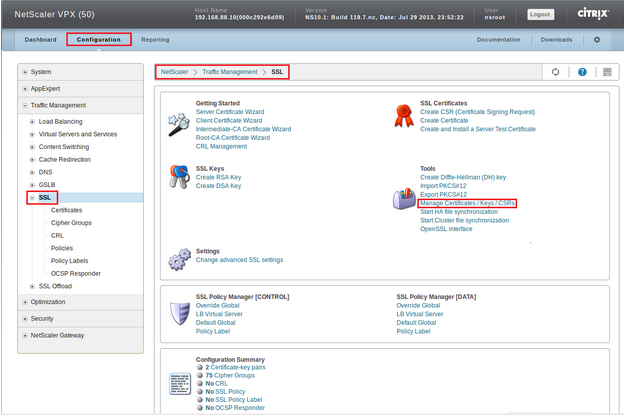 CSR generation instructions for Citrix Netscaler are located here. To backup, export, and move a SSL/TLS certificate from a Windows system with its private key to a Citrix Netscaler perform the following. Choose to save file on a set location. You will receive a message > “The export was successful.” > Click OK.The .pfx file backup is now saved in the location you selected and is ready to be moved or stored for your safe keeping. 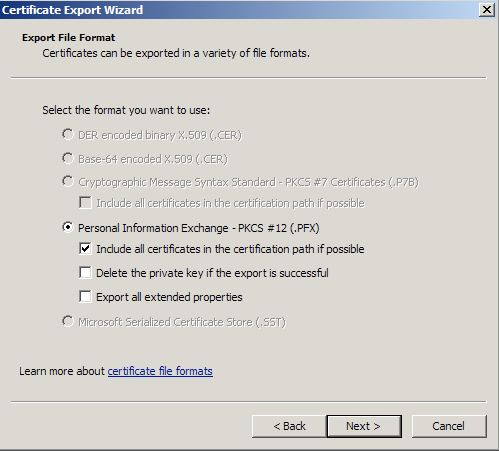 You have now successfully exported your pfx/pkcs12 file from your Windows system. You can now move it to your Citrix Netscaler Appliance. 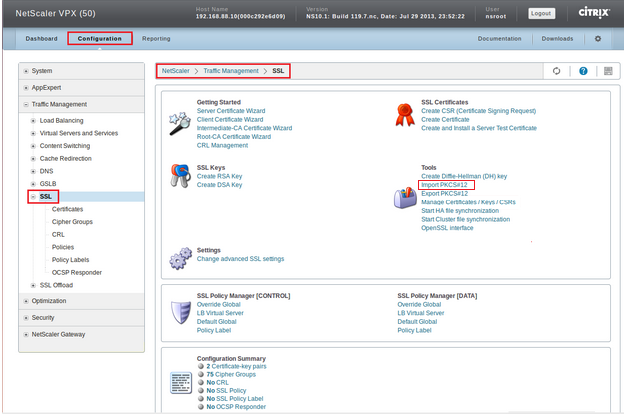 Log in to the Netscaler console.. 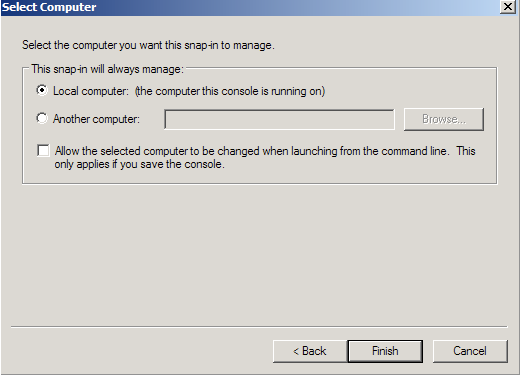 Note: This tool is a converter tool built into Citrix. It will not magically import your pfx file. A Import PKCS12 window will pop up. Click Browse.. and specify a file name and path to where you want this file stored. Click Browse.. and navigate & open your .pfx file that you exported off your Windows system. 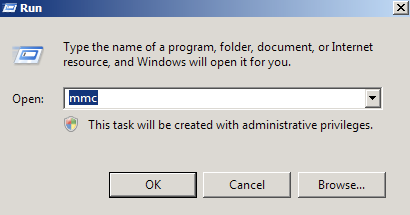 Specify the password that you used when you exported your .pfx file off your windows system. 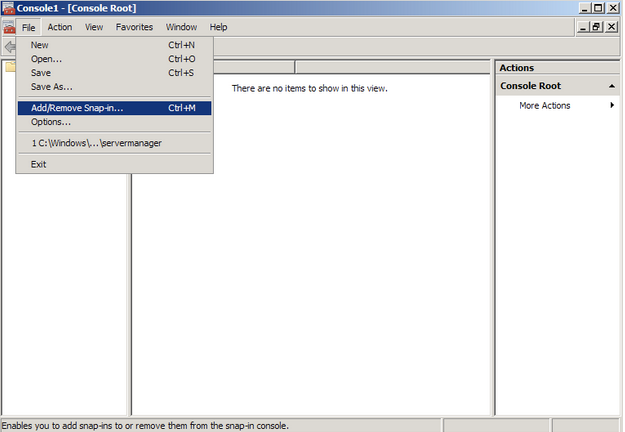 What should of happened is that in the location and path you specified under Output File Name you should see the file. Open this in Notepad. 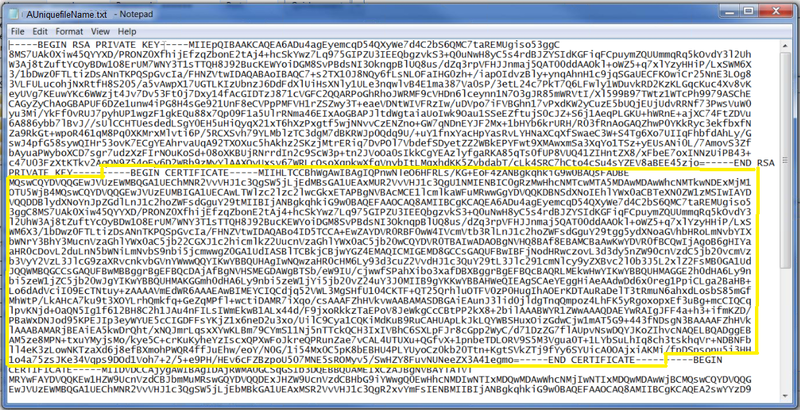 Note: Make sure you have five dashes after the end rsa private key —– no more and no less. Below the private key will be your Server Certificate. Note: Make sure you have five dashes after the end certifcate —– no more and no less. On the Certificates page, click Add. 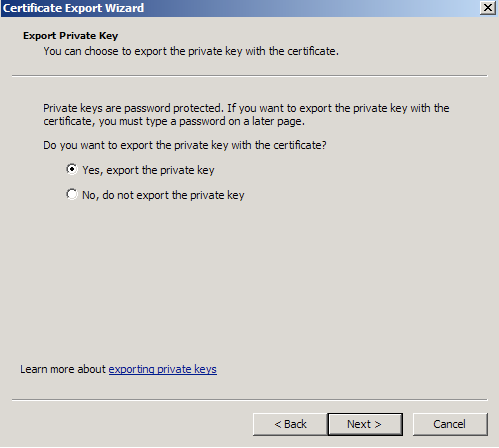 Specify a Certificate-Key Pair Name of your choice (e.g. SSLCert). 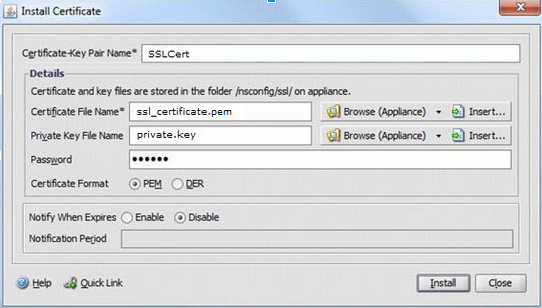 Click Browse (Appliance) navigate to your Server Certificate CitrixServerCert.pem you created saved locally on the Citrix appliance (e.g./nsconfigl/ssl/ssl_certificate.pem). 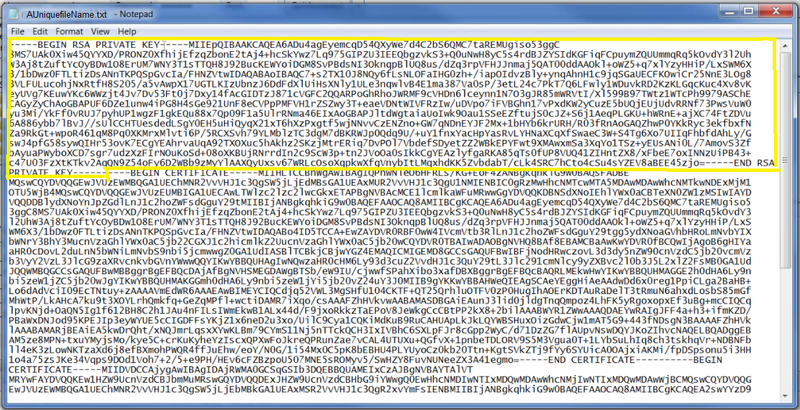 Under Private key File Name. Click Browse (Appliance) navigate to the private key file CitrixPrivatekey.key you created (e.g. /nsconfig/ssl/private.key). Normally you will have to enter a password but the Citrix Import PKCS12 converter tool stripped the private key of its password. Leave this space blank. 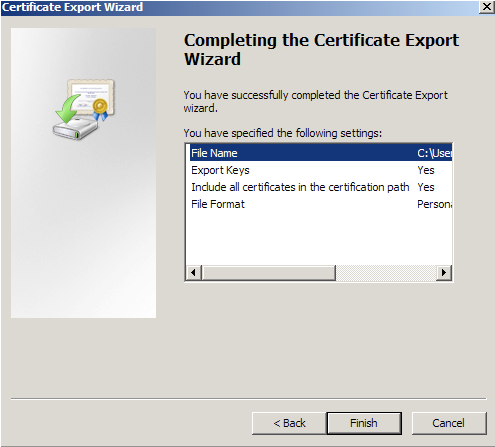 In the Manage Certificates / Keys / CSRs window, click Upload to locate, select, and upload the intermediateCACertificate.pem file. 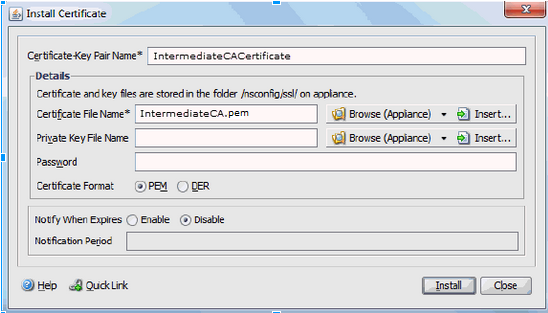 Click Browse (Appliance) to the Intermediate CA certificate saved locally on the Citrix appliance and select the Intermediate CA certificate file (e.g./nsconfig/ssl/IntermediateCA.pem). On the SSL Certificates page, select the certificate key pair name (as shown in Step 3: Creating a Certificate Key Pair) to which you want to link the intermediate ca certificate to your SSL Server Certificate. Click on your SSL Cert. From the CA Certificate Name list, select the required intermediate ca certificate IntermediateCACertificate. Note: You should be able to form a link between the SSL Cert to your intermediate. If you are unable to do so due to an error then double check the formatting of the certificate in notepad make sure it has the required 5 dashes and headers, double check to see if you have the proper intermediate. a wrong intermediate will not link to your server certificate. The intermediate is to only help aid the SSL cert to old dated browsers. 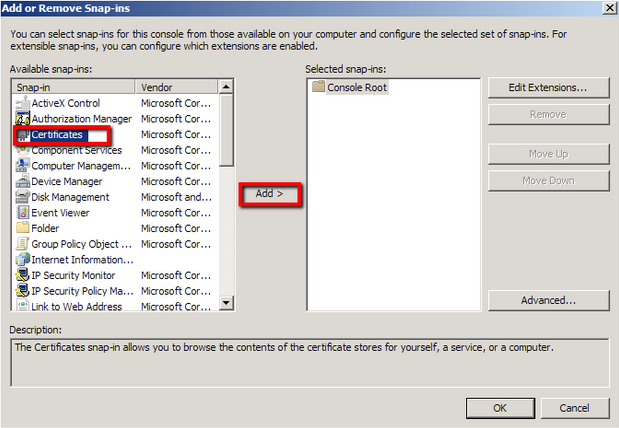 To verify if the SSL certificate & Intermediate CA certificate is link successfully, you can check by selecting Cert Links… at the bottom of the Netscaler console. Click OK to link the certificates. 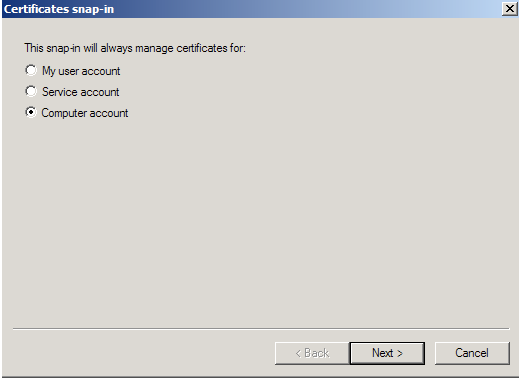 You should see a dialog box confirming that the certificates were linked successfully. A lot of times Citrix Netscaler will automatically bind the server certificate to the system automatically if certain conditions are met, such as the old certificate has expired. But sometimes you may have to bind it yourself. You might just want to check your system for a good connection before continuing. If the certificate needs manual binding perform the following. 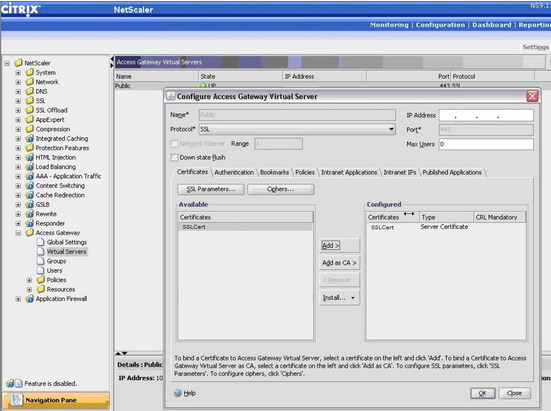 From the NetScaler console, select NetScaler > Access Gateway > Virtual Servers. 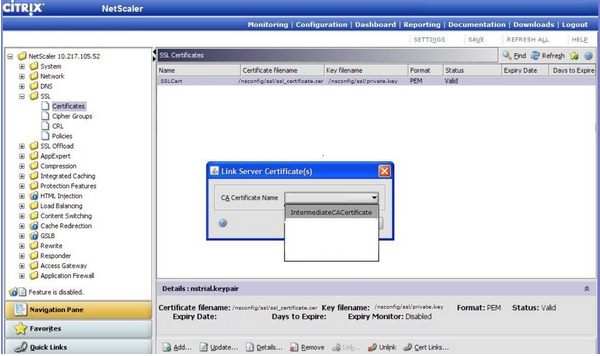 From the Certificates tab, select the server certificate from the list of Available certificates. Click Add to add the certificate to the Configured list. Click OK and save the configuration.Your SSL certificate is now installed and configured for its website. If you are unable to use these instructions for your server, Acmetek recommends that you contact either the vendor of your software or the organization that supports Citrix Netscaler.